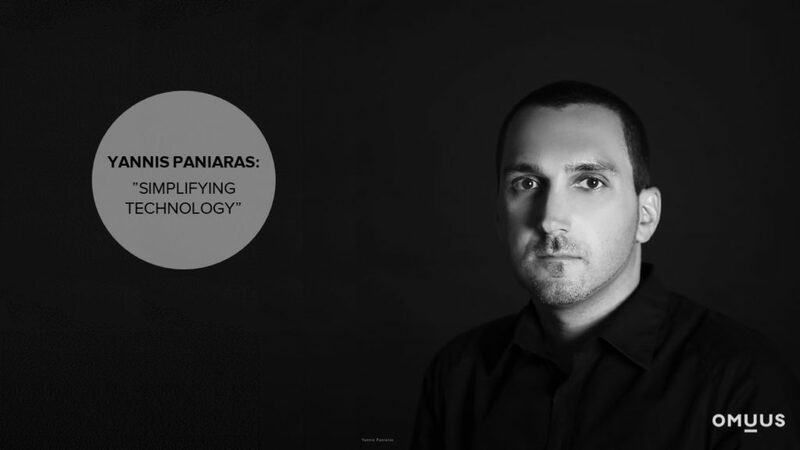 OMUUS interviewed Yannis Paniaras, a principal design director at Microsoft. He brings 18 years of experience in design, product development and management across markets and cultures. In 2002 Yannis relocated himself to China for an intergovernmental cooperation between the European Union and the Chinese government. Between 2003 and 2015 he has worked in various senior level roles in design management for Microsoft and Nokia in China. He has successfully led design driven transformation initiatives, establishing user experience design capabilities through incubation of design studios, and directing initiatives across people, process, and product creation areas. Today Yannis collaborates with Microsoft’s new corporate design studio to create design systems that enable the digital and experiential transformation for the company’s business processes and tools that 130,000 employees experience globally every day. Why people are asking for hidden technology and simplification? I think technology is in great need for simplification and clarity. The way digital experiences are woven into our lives today are affecting us not always in our best interest. Most importantly technology needs to be in a level that feels both natural and human. Many of the information and communication systems today have evolved to include capabilities that give users control over the density of their personal communications, but there is a lot more what could be done. For example, in the IOT domain and the home environment, the current state is this type of emerging ecosystem of hardware and software – but it doesn’t always conform to the natural human based balance we have evolved in our home lives. In a few years from now, this constantly expanding physical and digital fabric that surround us will be more regulated, and constantly informed by our output and input. Through this process a state of elevated personalization and simplification will emerge. There have been a lot of improvements already in creating products and experiences that are focused on understanding and serving customer needs. This evolution is mostly occurring at a singular product level, or across a range of similar products. However, the scale of tomorrow will require that coherency and simplicity in experiences will be achieved through much broader ‘meta-environments’. These will govern how such systems function and take under consideration a more holistic spectrum of values and regulations. For example, there are different standards of privacy across different parts of the world. When we traverse such environments, we can imagine how our devices and our digital profiles can adjust to the changes. This is already happening in some cases. An environment is not only a physical one. We have a variety of environments today that affect products and experiences; digital, legal, cultural, political, economic etc. Shifting our focus to more familiar home environment, the orchestration of smart devices and the meta-environments. They can create additional convenience, safety, and better environmental standards. However, this needs to be done through a holistic framework and proper design. We will also see an increased emphasis on customer experiences that improve our physiological and physical well-being. Value of what we do. When it comes to the basic input and output capabilities for the most commonly used devices at present, laptops, tablets, smartphones, we still primarily rely on displays (screens) to interact with these devices. Due information density conveyed through visual means has a much higher sensory bandwidth than let’s say auditory or tactile channels. Sound, and thus voice, does not have the same density as visual channels, yet increasingly voice mediated interactions are taking over graphical user interfaces. Voice commands are simpler to use for certain tasks, like short and repetitive transactional interactions. However, we can’t do complex things with voice, so we intersperse these new technologies across the more established interactive landscape. When voice commands start to feel more natural, we will continue to see voice UX expanding because of its simplicity. Voice is just another interface, it is the voice recognition technology on the background that made it possible to create the conversational interactions and experiences that power the pod and the assistant. If something becomes hidden, something else needs to become visible. This also applies when interacting without a display. What possibly can become more visible is the realization of the value of our activities achieved through such new systems. We used to allocate a disproportionate degree of value on the user interface of a product to the extent it defined its identity and value. We are getting away from that type of thinking. The virtualization of products and services shifts focus on task completion and efficiencies, no matter if they are practical, emotional or human. Technology will become more transparent helping us to re-focus on what we really want to do. If technology is just an assistive layer in our everyday lives, we would not be dealing with a mobile phone all the time. It’s all about getting our attention back 100% on achieving a more human balance in our daily activities, the ordinary things that the current noise around us is obstructing. It’s about being more human. We should change the focus from technology taking away from humanity to giving back, empowering us to achieve more. We thank Yannis Paniaras for the interview and for opening a window of what future beholds in the field of customer experience.